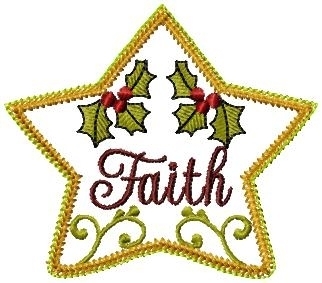 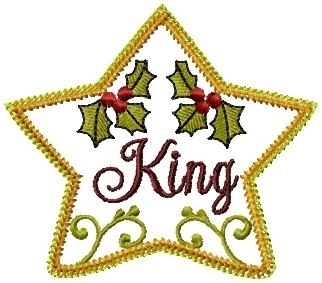 Stars of Christmas Applique Set, 4x4 - 10 Designs! 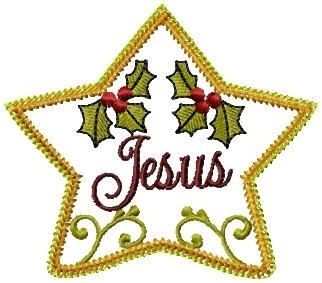 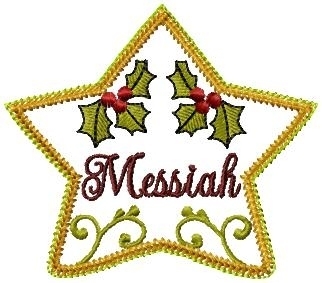 This set of 10 designs can be stitched as an applique, directly stitched onto fabric, or made into 3 D Christmas ornaments. Hang the ornaments from gift packages, Christmas trees, pegboards. 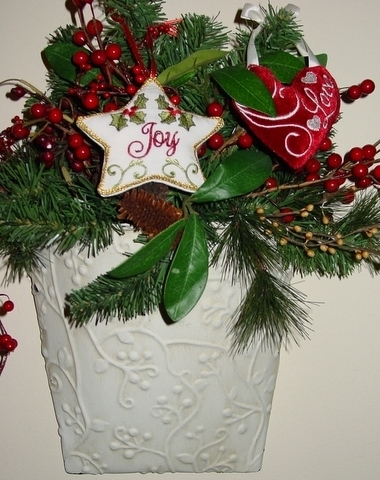 A great gift for newly weds for their first Christmas tree. 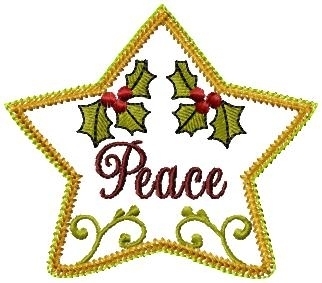 Place the applique designs on a tree skirt, table cloth, placemats, or even shirts and then make matching ornaments. 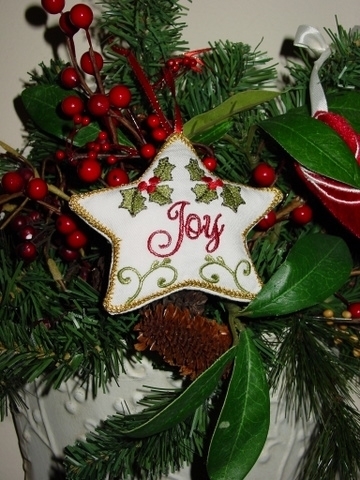 Detailed instructions for the making of the ornaments are included with your purchase. Each design fits the 4x4 hoop. making of the ornaments are included with your purchase. 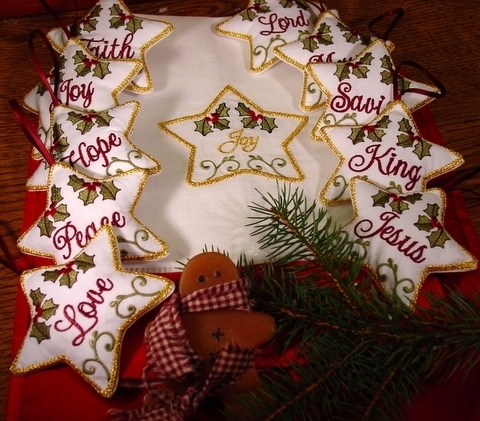 Each design fits the 4x4 hoop. 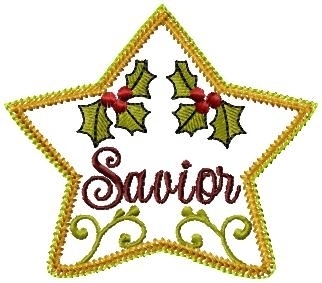 Stocking Gift Card Holder, 6x10 - 6 Styles!